Colonel Charles Young (March 12, 1864 - January 8, 1922) was the third African American graduate of West Point, the first black U.S. National Park Superintendent, first black military attaché, first black to achieve the rank of colonel, and highest-ranking black officer in the United States Army until his death in 1922. Charles Young was born in 1864 into slavery to Gabriel Young and Arminta Bruen in May's Lick, Kentucky, a small village near Maysville, but he grew up a free person. His father Gabriel escaped from slavery in 1865, going across the Ohio River to Ripley, Ohio to enlist as a private in the Fifth Regiment of the Colored Artillery (Heavy) Volunteers during the American Civil War. Accounts differ as to whether he took his wife and child with him then. His service earned him and his wife freedom. As a young woman Arminta had learned to read and write, and may have had status as a house slave before becoming free. Please visit http://en.wikipedia.org/wiki/Charles_Young_(United_States_Army) for additional information. The Omega Psi Phi Fraternity, Inc. Colonel Young Leadership Award was conceived of in Delta Omega Chapter (Petersburg, Virginia), Third District, Omega Psi Phi Fraternity, Inc. by Brother (Major) Conrado B. Morgan. 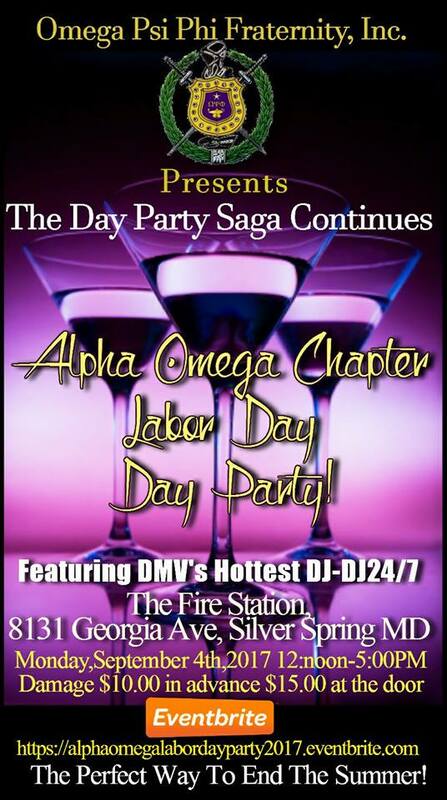 It was voted on and approved by Delta Omega Chapter in 2000 and presented to the Third District for approval. It was approved by the Third District in 2000. Brother (Major) Conrado B. Morgan was transferred back to Fort Bragg, North Carolina in 2003 and he presented the idea to Tau Gamma Gamma Chapter (Fort Bragg, North Carolina). Tau Gamma Gamma Chapter voted on and approved the award in 2003. Brother (Lieutenant Colonel) Morgan thru Tau Gamma Gamma Chapter sent the award for approval to the Sixth District in 2003. It was approved by the Sixth District in 2003. 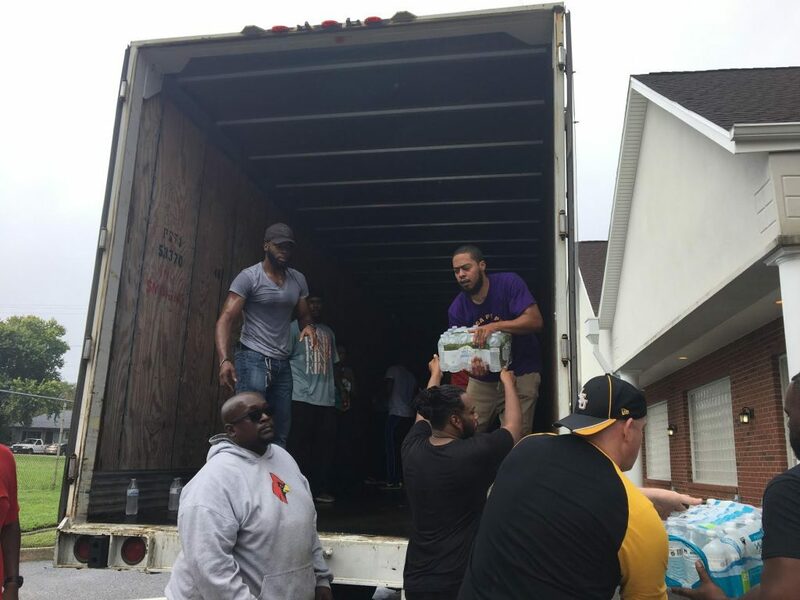 The Sixth District requested that the award be voted on and approved at the Omega Psi Phi Fraternity, Inc. international level in 2004. The Omega Psi Phi Fraternity, Inc. Colonel Young Leadership Award was first presented at the 74th Grand Conclave in Saint Louis, Missouri in 2004. Brother Carl Blunt, First Vice Grand Basileus, Omega Psi Phi Fraternity, Inc. was a strong supporter of this award. Colonel Charles Young Military Leadership Award Colonel (Brother) Charles Young was elected the second honorary member of the Fraternity on March 8, 1912. 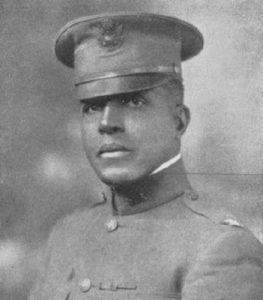 Colonel Young, the ranking African-American officer in the military at the time of his death, died in Africa on January 8, 1922. 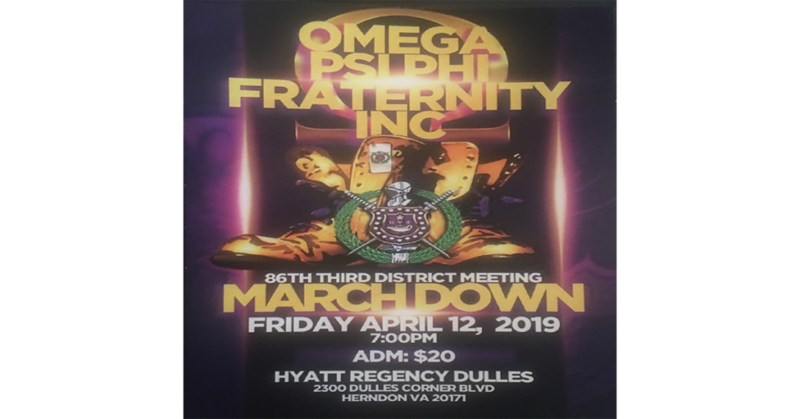 To commemorate the great works of this Omega Man, the Omega Memorial Day and the ritual were both revised by the 1922 Grand Conclave held in Philadelphia, Pennsylvania. Colonel Young was highly respected by the brothers and today is still regarded as a great military leader and a role model for all Omega Men. The nominee must be considered “on active duty” with any branch of the US armed forces during the period in which he is nominated. Nominee must have made outstanding contributions to the fraternity at chapter, district, international level (chapters/district are expected to support all nationally and district mandated programs) and the military. Nominees must have served in a manner above and beyond the ordinary participation levels necessary to implement programs and projects. Nominees should be involved with the organization, planning and implementation of programs and projects. Documentation associated with this award must demonstrate the nominee’s activities and be certified by the Basileus and Keeper of Records and Seal on the Chapter level and by the Achievement Week Chairman on the District Level. Mr. Cortez McDaniel was born in Radford, Va. Attended Christiansburg High School where he starred in football. While he was recruited to play football at Va. Tech University, he sustained a major hip injury that ended his playing career. He did attend Va. Tech University for one year and went on to attend Roanoke College for two years.After leaving college, Mr. McDaniel lost his way and his life took turn to the dark side. He came to the DC area and was deep into the drug world. These life choices placed Mr. McDaniel under incarceration, which ultimately lasted for 18 years. It was while in prison in Aston, Kentucky that Mr. McDaniel continued his studies, and ultimately obtained his degree. He did so through a program offered by the Univ. of Kentucky. After moving around the system, McDaniel realized that he had to change. It was while in prison in Petersburg, Virginia, through much self-assessment, that he wrote the Recidivism Prevention Workbook. This changed his life. His case worker pitched this book to the Warden, who agreed that SHE should teach it. She made clear that it was the work of Mr. McDaniel and insisted that HE should teach it! The warden finally agreed, and Mr. McDaniel began teaching this course to the inmates.The class was such a success that Mr. McDaniel over 350 guys a year for about 3 years, so in total over 1,000 guys were taught and benefited from this course. The course actually became a requirement for guys to get paroled.Once Mr. McDaniel himself was released, he came back to DC and found himself homeless. Given that Mr. McDaniel did not have the services he thought he needed to get back into society and become a productive citizen, he became the founder of the National Homecomers Academy in 2006. The Academy focused on helping ex-cons perform introspection with a goal of integrating back into society. He then worked at a center off of Benning Rd in SE DC called the "Make a Difference House", which opened in 2008. He managed this program for 2 yrs.While working here, it was a woman by the name of Sister Sarah Joseph who asked for someone to come speak at Father McKenna Center (FMC) in February of 2009. Once he spoke at the FMC, the then Director of the Center hired him on the spot to manage the Hypothermia Program. This program houses about 20 men during the hypothermia season that runs from November thru April. This program, largely because of the efforts of Mr. Cortez, has about a 70% success rate in terms of matriculating men back into productive citizens. Mr. McDaniel continues to teach his Recidivism Prevention Workshop 4 times a year. This class consists of six 90 minute lessons. The participants receive a certificate of completion if they attend every class. Roughly 200 men have completed this course through the FMC.He currently serves as Director of Services at FMC. His current duties include managing the Kitchen staff, managing the Janitor staff, managing 2 Staff assistants, managing the clothing closet as well as overseeing daily operations of the FMC. Mr. McDaniel is also the primary Case Manager for the FMC, which requires him to have individual consultations with the clients (homeless men) and to maintain files for these clients (on average of 15 men a day). Prior to his time at the FMC, Mr. McDaniel worked for Second Genesis Inc. as Certified Addictions Counselor. Mr. McDaniel has also served as a Community Change Agent for the Phelps-Stokes National Homecomers Academy and is co-founder of The DC Peace Team. Mr. McDaniel is a certified Instructor of Violence Reduction and Conflict Resolution and has been happily married for 20 years. OMICRON GAMMA CHAPTER- BRO. TERRENCE PROTER, JR.
KAPPA PSI CHAPTER- BRO. GLEN B. YONKERS, JR. The men of Omega Psi Phi Fraternity Incorporated are proud to acknowledge Mr. Cortez McDaniel a shinning example to the very people he now serves at the Father McKenna Center in Washington D.C,. Congratulations to all the winners and to our Fraternity's impact on the Community we Serve! On November 9, 2017 Tau Rho Chapter, Omega Psi Phi Fraternity, Inc. held their annual awards event at the Walker-Grant Center (formally Old Walker-Grant School) in Fredericksburg, Virginia to recognize outstanding scholastic achievements of High School Seniors comprised from fourteen (14) High Schools (Brooke Point, Chancellor, Colonial Forge, Courtland, Fredericksburg Academy, Fredericksburg Christian, James Monroe, King George, Massaponax, Mountain View, North, Stafford, Riverbend, Spotsylvania, and Stafford) in their service area consisting of the City of Fredericksburg and the Counties of Caroline, King George, Spotsylvania, Stafford, and Westmoreland. Pictured with the students are Chapter Basileus Brother Terry Lee (back row second from left, Chapter Brothers, and (kneeling center) Brother Mark McLaurine, Chapter Achievement Week Programs Chair. The Omega Psi Phi Fraternity, Inc. Achievement Week Program endeavors to, (1) recognize persons within the fraternity and community who are dedicated to uplifting the social, economic and cultural well-being of people from all walks of life, (2) identify role models that have responded to challenges through determination and perseverance, (3) promote excellence in scholarship. Since 1964, the Tau Rho Chapter has served the greater Fredericksburg area including the Northern Neck. For additional information on upcoming events and other initiatives supporting the community visit the website at www.taurhoques.org.